The busy holiday season is upon us. It’s time to get your business organised and ready for the Christmas rush. 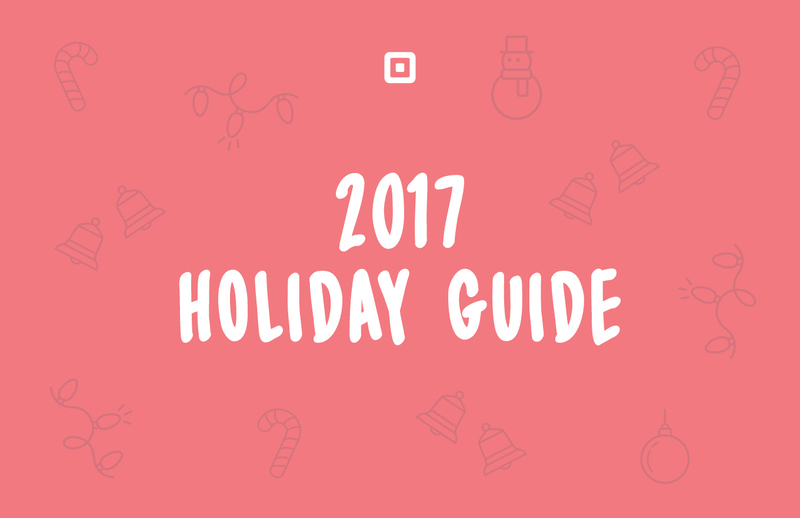 Square can help you take care of business throughout December and beyond. Our 2017 Holiday Guide can help you prepare, plan and get your register ringing. The first step is to get your business ready. Think about what your goals and objectives are to make the most of this seasonal spike in sales. Easily build a new online store and accept payments with Square. No matter what you have to sell, Square has an e-commerce partner to fit your business. When it comes down to it, any online store consists of three main elements: the product, the sales platform and the payment platform. It’s easier than you think, we promise. With the new Mobile Staff feature, it’s free for your team to accept payments and issue refunds for you on their own devices. Get your seasonal workers moving and improve the customer experience during your busiest days. Get Started with Mobile Staff. Make sure you can accept payments quickly and securely. Our reader enables you to accept tap-and-go cards, Apple Pay, Android Pay and Samsung Pay — all of the fastest ways to take payments from customers. If you’re expecting a rush of gift-shoppers, it’s critical that you make their checkout process as swift and easy as you can. Learn more about the Square Reader for contactless and chip. The holiday season is the perfect time to get your POS desk in order. Remove archive marketing material or paperwork, check that business cards are well stocked and neatly presented, and wipe down the desk and everything on it (including your reader & stand. Time-poor shoppers with overwhelming Christmas shopping lists are often rushing around. Make their shopping experience quick and easy by merchandising your bestselling, gift-friendly items in windows, easily accessible areas in the store and near the point of sale. Run a report to identify what items generate the most units and dollars, and start planning how these can be beautifully displayed in store and online. The month of December is crazy for all retailers and sometimes it’s hard to plan for what comes next — Boxing Day sales! This is a great time of year to clear the volume of slow sellers and drive some cash flow into your business. Get ahead of the pack and plan how you can maximise product conversion with sale shoppers — review your stock levels on the item sales report and plan your discount strategy.